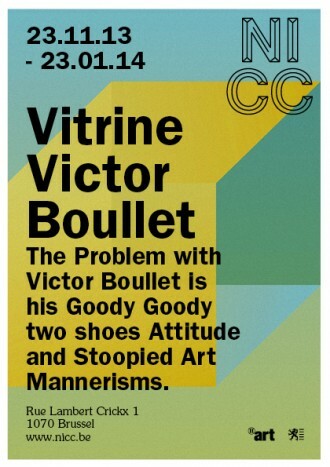 his Goody Goody two shoes Attitude and Stoopied Art Mannerisms. 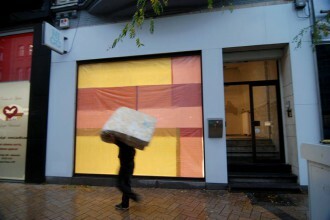 Artist-run organization NICC would like to invite you to the first solo project of Victor Boullet in Belgium. 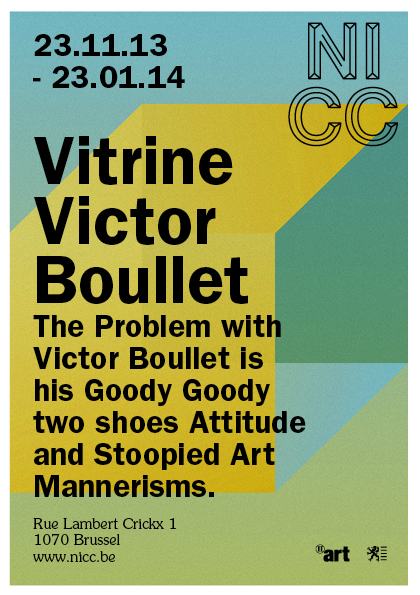 Victor Boullet (1969) will present a new site-specific work for the 24/7 Nicc storefront titled “The Problem with Victor Boullet is his Goody Goody two shoes Attitude and Stoopied Art Mannerisms". In addition NICC will be hosting an artist talk by Victor Boullet in its office space, titled "Me Me Me Pretentious Nonsense.com".